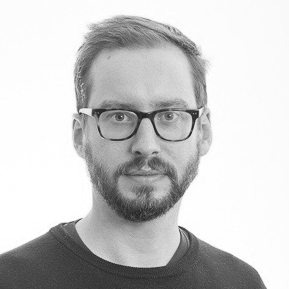 Michael Dieter joined the Centre for Interdisciplinary Methodologies (CIM) after working at the University of Amsterdam and the Centre for Digital Cultures, Leuphana in Germany. He holds a PhD in Culture and Communication from the University of Melbourne on media art criticism and new materialist philosophy. His current research focuses on developing inventive methods for interface criticism, focussed in particular on contemporary user-experience design epistemologies and techniques for social media platforms and mobile apps. His other research interests include genealogies of media at the intersection of aesthetic and political thought, contemporary media art and publishing practices after digitisation. I am available to supervise doctoral students on topics aligned to one or more of my research interests. Media theory; interface criticism; digital aesthetics; inventive methods; publishing practices; new media literacies; software studies. w/ David Gauthier, 'On the Politics of Chrono-Design: Capture, Time and the Interface', Theory, Culture & Society 36. 2 (2019): 61-87. ‘Responsiveness and the Flexible Grid’, in Teresa Martínez Figuerola and Jorge Luis Marzo (eds) Interface Politics, Barcelona: GREDITS Publications, 2016, pp. 91-104.
w/ David Berry (eds) Postdigital Aesthetics: Art, Computation and Design, Basingstoke: Palgrave Macmillian, 2015. ‘The Virtues of Critical Technical Practice’, differences: A Journal of Feminist Cultural Studies, Special Issue: Darkside of the Digital Humanities 25.1 (2014): 216-230.
w/ Geert Lovink, 'Theses on Making in the Digital Age', in Garnet Hertz (ed.) Critical Making (2012). ‘The Becoming Environmental of Power: Tactical Media After Control’, Fibreculture Journal 18 (2011). ‘Issues, Processes, AIR: Toward Reticular Politics’, Australian Humanities Review 46 (2009).